Design your own unique personalised Zippo using our simple online software. 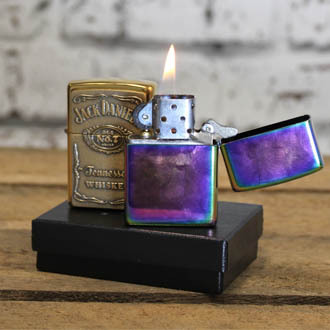 Engrave a personal message, upload a photo and create your very own design on your choice of original genuine Zippo lighter. Wide range of accessories available together with gift boxes too! All of our lighters are engraved and shipped in 3-5 days. We send to anywhere in UK and Northern Ireland but apologise that we can't ship elsewhere due to posting restrictions.